Starting up Spectrum, I had this very familiar fear that I might be stepping into another chamber full of known feelings and experiences. However, Spectrum, managed to surprise me. You could say I have even grown weary of games that play in the same kind of way that many others have before them, so if anything it is actually a very pleasant surprise when a game actually catches me unprepared and gives me an amazing game experience. It may not have been one of the best or most memorable experiences, but Spectrum certainly steps out of the ordinary due to many good reasons. Let’s see what 3D Avenue did well then. The game is simple when it comes to its controls. We got jump and dive. You would think that this is not enough to make a game interesting but what 3D Avenue did very smartly, was to create an environment around this very simplistic gameplay mechanic where the player has to master the surroundings as much as he has to master the characters he controls. So basically, we end up having a very different learning curve throughout all eight of the game’s worlds. I say eight, but in reality they are just four with all of them having the “dark world” equivalent where things get harder. Think of how Super Meat Boy had its own difficult dark world. It is somewhat the same. The content is definitely more than anyone could ask for in such a game. It might not be The Sun & Moon when it comes to difficulty and content but it is a beauty on its own. As I said, as much as I like these kind of platformers, I feel as if indie developers sometimes do not bother to take the route of making something new and unique, even within a known genre. Spectrum sort of falls somewhere in the middle since it is designed to flow in such an elegant way that it does not allow you to get mad at it. Not as you would with many other clunky platformers at least. Good gameplay aside, the game’s visuals and audio are not something too amazing. 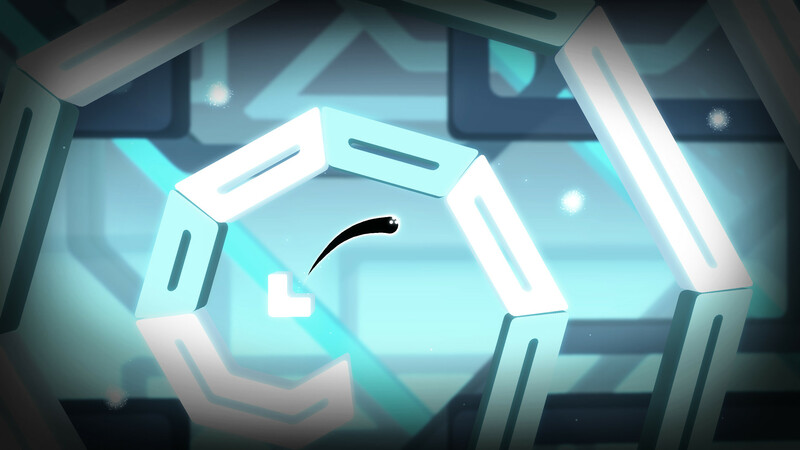 The visuals make it one of the most minimalistic puzzle platformers you will probably ever play, which is something good actually. The audio on the other hand is quite repetitive, but good at the same time. It is hard to make music that will not tire the player that keeps losing at the same spot in a level all the time. Being forced to hear the same tunes over and over again is something that you cannot avoid if you really want to finish a game like this. I would say that even though I actually went into the game thinking that I should be judging it really hard for being something that has been done before, I ended up finishing the game with a pleasant feeling left over in the end. I enjoyed all of it actually. I could not be mad at the relaxing flow that the game provided me during my playthrough. I did not bother finishing all the dark world levels, but I can see myself definitely going back to those in the near future. Also, based on its price, I could say that the amount of content the game has is just right. Spectrum is available on Steam for the price of 4,99€. Spectrum is your classic puzzle platformer type of game so you should not be expecting too many surprises from it. It will however provide a very relaxing and enjoyable game experience for any fan of the genre. Not the hardest of games but its content will keep you company for a good amount of hours.